What would happen if our children’s serious infections no longer responded to antibiotics? If an infection in the uterus of a mother who has recently given birth couldn’t be treated with antibiotics? If there were no longer a cure for meningitis, or any number of life threatening infections? What is antibiotic resistance? In short, it means that infectious bugs are outwitting our antibiotics to the point that the antibiotics we have are no longer effective against them, and even many previously benign bacteria and viruses have now become pathogenic – or disease causing. The bad news is that there are not many new antibiotics on the horizon to solve this problem. The good news is that much of the antibiotic resistance we are facing can be reversed if we do it fast. This requires that we not only get more savvy in our medical use of antibiotics, but that we bring voting antibiotic-free to our forks! 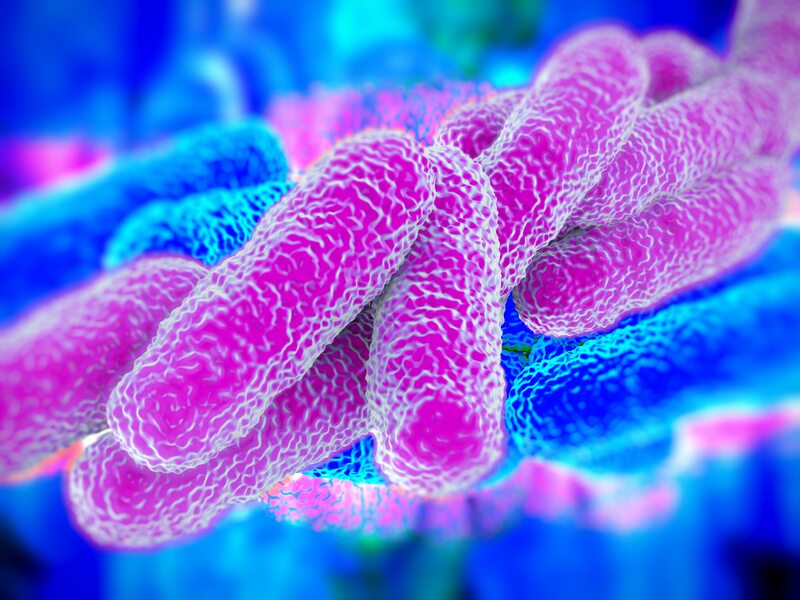 A predominance of the right type of gut flora species, Bifidobacterium, helps protect us from becoming overweight, while an overabundance of another less friendly bug, Clostridium difficile, can lead to death from diarrhea in a matter of days. Here’s just a brief list of the conditions associated with “dysbiosis” – having too much of the wrong kind of gut flora, not enough of the right kind, or both. The human microbiome may also play a role in autoimmune diseases including rheumatoid arthritis, multiple sclerosis, fibromyalgia, and even certain cancers. In a country where it is predicted that 1 in 3 people will have diabetes by 2050, 70% are already overweight or obese, and where C. diff is one of the leading causes of deaths in hospitals – including of people who came in uninfected with that bug – the role of the microbiome in health is nothing to “poo-poo at,” excuse the bowel pun. However, the health of our guts has been under siege for nearly 60 years, and now the danger is getting worse. There has been one primary suspect in the crime against the human microbiome that we now know is guilty – antibiotic overuse. While the advent of antibiotics appeared to have tamed infectious diseases for several decades, infectious organisms have now largely outwitted these drugs. Many have become “superbugs” that we can now barely tame. Their names include E.coli, C. diff, MRSA, drug-resistant TB (tuberculosis), pneumonia, and N. gonorrhea, to name a few. At the same time, we have unwittingly damaged one of our own major lines of defense against both acute infection and chronic disease – our human microbiota – with these same antibiotics, and as a result, are experiencing unprecedented rates of the chronic diseases I listed above. The extent of this damage is that in the US alone an estimated 23,000 deaths occur each year solely due to infections that antibiotics are no longer able to treat. This is to the tune of about $20 billion in extra health care costs to the country – annually. The problem is much worse in terms of suffering and lost lives in less economically privileged countries. Last year in India alone, 58,000 infants died of an antibiotic resistant infection. According to both the CDC and the WHO, antibiotic resistance is now the single most pressing global health problem. We are on the verge of an international emergency, as the antibiotics we have relied heavily on to treat life-threatening infectious diseases are failing to work, and even more serious diseases are emerging as a direct result of resistance. Seeing our health as connected to how we treat our environment becomes a necessary new way of thinking for all of us, one that requires we pay attention to what we do to the planet’s ecosystem if we plan to stay healthy on it for much longer. The great lesson in all of this is that in health and ecology, everything is connected. These miracle drugs were seen as both benign and as a cure-all for pretty much everything. They even made their way into agriculture as crop sprays and food preservatives, and into animal feeds. They were used to treat blights in apple, pear, and walnut trees. Tetracycline was sprayed onto chipped ice and added to hamburger meat. By 1955, 12 percent of 475 milk samples from dairy farms around the US were found to be contaminated with penicillin. It wasn’t long before a small group of concerned scientists became concerned that the overuse of this important class of drugs would lead to a backlash. Even Alexander Fleming, who is credited with the discovery of penicillin, warned about the potential for antibiotic resistance as early as 1945. You see, bacteria are highly indiscriminate social creatures. They mate by trading all kinds of information with numerous “sexual” partners including intel on how to become resistant to antibiotics. One bug can teach another bug how to become resistant to 5 different antibiotics in one “embrace.” They do this not only within their own species, but interspecies. So an E.coli can teach Salmonella new tricks – right in your gut or the gut of a cow that got some antibiotics on the feedlot. In addition, like all other life forms, bacteria are continually evolving, and they can do so rapidly in your very own digestive system, on your skin, in your sinuses, and just about everywhere else. So it doesn’t take long for simple Staphylococcus aureus bug to become a “Super Staph” that is resistant to an antibiotic, like say, methicillin. And voila, we’ve got MRSA (methicillin-resistant Staphylococcus aureus). Now think about what would happen if some of these bugs started talking to other bugs – like Anthrax! Antibiotics are also widely inappropriately prescribed, meaning the wrong drug is given for the bug, and they are wildly overprescribed, meaning given when no antibiotic is needed, for example for viral infections, non-serious bacterial infections, or for just a fever and a cough when the type of infection hasn’t yet been identified. As many as 30% of US born babies are exposed to an antibiotic before or at the time of birth either indirectly through the mom (i.e., at the time of a cesarean section), or directly after birth. By the age of 18 years old, most children in the US receive between 10 and 20 courses of an antibiotic. Approximately 50-70% of the time when treating common infections in kids and adults, antibiotics are unnecessarily prescribed in doctor’s offices, emergency departments, and even in hospitals. Why do so many doctors and other licensed health professionals overprescribe antibiotics? There are 4 reasons that typically lead to this: 1) They’re afraid to get sued if a patient’s health goes south and they hadn’t prescribed an antibiotic, 2) They believe that patients expect to be prescribed antibiotics (which is often true), 3) They don’t feel they have the time in the context of a usually hurried medical appointment to explain the problem of antibiotic overprescribing to patients – it’s quicker and easier to write the script, 4) They don’t know what to prescribe as an alternative. They often use the wrong drug for the bug because they haven’t taken the time to look at the specific antibiotic resistances in their community, which is important, because these vary sometimes by region, sometimes even by hospital. RESISTANCE: All animal carry bacteria in their intestines. Antibiotics given to food-producing animals kill most of the bacteria but resistant organisms survive and thrive. EXPOSURE: People get sick with resistant infections from eating contaminated foods or having contact with a contaminated environment (which has caused sometimes severe resistant infections in farmers and their families). IMPACT: Resistant infections can cause mild to severe, and even life-threatening illnesses, and even death. These infections can be from organisms in the food itself, or from other infections that have becoming resistant to antibiotics through interspecies spread of resistance information. According to a study done by the Union of Concerned Scientists, well over half of the antibiotics used in the US go into animals being raised for food, usually via their feed. This is to the tune of billions of dollars in annual profit to the pharmaceutical industry. It’s actually impossible to know the volume of antibiotics that ends up in animal feed because the pharmaceutical industry has historically, persistently, and effectively kept this data under wraps. There is no federal regulation that requires disclosure of this information to the public. Antibiotics used in food-producing animals are a major contributor to antibiotic resistance in humans. Resistant bacteria contaminate the foods that come from these animals, and those who consume these foods can develop resistant infections, and also pass these resistant organisms on to those with whom they are in close contact, spouses and children, for example, just by living in close proximity and sharing food and intimacy. Food poisoning has also gone up with the increase in antibiotics use in the animal industry. For example, the potentially deadly strain of E. coli 0157 that became famous when 700 people became sick and four children died from Jack-in-the-Box food in the 1990s wasn’t even isolated from animals until the 1980s, and doesn’t exist in the gut of grass-fed animals – only in those that are corn-fed. Campylobacter, an organism commonly found in poultry, is now largely resistant to the antibiotic that was previously relied on to treat it – Ciprofloxacin – largely because the Campylobacter is antibiotic resistant from the chickens being treated with antibiotics! And Salmonella outbreaks have significantly increased in number and severity in the past few decades, and are also more resistant to treatment. While the CDC strongly urges the US FDA to “promote the judicious use of antibiotics that are important in treating humans” by only using such antibiotics in food producing animals “under veterinary oversight and only to address animal health needs and not to promote growth,” and in the past even the FDA has advocated such restrictions, the Department of Agriculture, undoubtedly nudged by the meat and pharmaceutical industries, has hindered efforts to make progress in controlling inappropriate antibiotic use in the industry. Approximately 80-90% of the antibiotics ingested by humans and animals are not broken down. Rather, they pass through the body in an active form, retaining their ability to affect bacteria and promote antibiotic resistance even after they enter the soil or water as waste. In a vicious cycle, we continuously disrupt the delicate balance in our ecosystem. While we are already experiencing massive global effects of antibiotic resistance on human health, if we act now, en masse, the situation is reversible. While this inevitably requires broad-scale policy changes, and a re-envisioning of the cost-savings of factory-scale animal food production to factor in the massive costs of antibiotic resistance, we can each make it our personal commitment to challenge this problem. Eat less meat: A diet rich in plant-based protein sources such as legumes, beans, nuts, and seeds, with small amounts of meat as a complement can absolutely provide adequate dietary protein. If you do eat meat, consume only a recommended healthy portion size, which is typically 4-6 oz. of red meat or poultry (about the size of a deck of cards or the palm of your hand). Kris Carr is an amazing source of inspiration and recipes for a plant-based diet. So is Walter Willett, who has written extensively about the Mediterranean diet, which is largely plant-based. Eat only grass-fed, antibiotic-free animal products (meat, poultry, and dairy): When you do eat animal products, support farmers who are raising their animals sanely and humanely. This may cost more in the short run, but the cost to your own health and society – well, priceless. Get Smart: The Michael Pollan quote at the beginning of this article accurately connects antibiotic resistance to the production of cheap meat (50% of all meat in the US goes into hamburger). But the first half of his statement normalizes an insidious issue – most childhood ear infections do not require antibiotic treatment. Learn when an antibiotic is needed – and when it’s not, which is most of the time. The CDC has an excellent website, GET SMART, devoted entirely to reducing antibiotic resistance by educating patients and physicians about which common respiratory infections, including ear infections, require antibiotic treatment. Add this link to your bookmarks for a quick reference next time you or a family member has a cold, cough, fever, or other signs of a respiratory infection, or if your doctor recommends an antibiotic that you’re not sure you need. Use Natural Alternatives to Antibiotics: Quite a number of natural products, including herbal medicines and nutritional supplements, have shown efficacy in reducing symptoms associated with upper respiratory infections (coughs, colds, fever, sore throat, ear infection, bronchitis) without promoting resistance. Umckaloabo, for example, has been shown to be effective in reducing the duration and severity of coughs and bronchitis, and the need for antibiotics in both adults and children; Echinacea reduces the recurrence of colds. Elderberry syrup reduces the duration and severity of flu, thus reducing the likelihood of a secondary infection requiring antibiotics. Zinc can reduce respiratory infection symptoms, and Xylitol syrup can reduce ear infections in babies and children. Wash hands regularly with plan soap and water, and gives hugs instead of handshakes: Both of these are simple methods for reducing the frequency of colds, etc. Fewer colds means less likelihood of an antibiotics prescription! The ramifications of antibiotics overuse on our personal health go beyond those I have described here; they interfere with metabolism, increase the likelihood of developing obesity through many mechanisms, and contribute to something called oxidative stress which can cause inflammation – all of these carry major health risks. The global picture of antibiotic resistance is also dire. By acting locally, we not only improve our internal immunity and ecosystems, but we have the potential to impact our global ecosystem not just for ourselves, but also for generations to come. Our actions today can be lifesaving for many tomorrow. An earlier version of this article was originally published in Best Self Magazine. I tried my hardest to find the study in relation to what I'm about to describe, but I can't for the life of me, find it. I hope someone else can. Anyways, I remember reading about a study where chickens were isolated outside. One group of chickens was put in a fenced in coop-and-run and given antibiotics. The other group of chickens were allowed to free range outside. It was found that disease resistance from the caged in chickens was transferred to the outside group of chickens through either the air or soil somehow. It was an interesting study on how we really are connected, like your article says Aviva, and isolation is a somewhat silly concept in this world. This was a great post and I hope lots and lots of people read it! I feel so guilty for letting my OB bully me into taking antibiotics while pregnant for a UTI (which I didnt even notice) she said I was putting the babies (twins) in danger because it could spread to kidneys. This time around I am having a HOMEBIRTH. Don't forget about your drinking water - if municipal/unfiltered, as a source of all the big pharma remnants inlcuding prozac, antibiotics, and who knows what :S on top of that good ole' flouride that they so nicely add (sarcasm). thank you. i was about to give up on finding a website with any real details on important health issues. you and your site give a good overview on the topics and i appreciate the few links to more information. It is amazing to me that so many Doctors such Dr. Romm, or Dr Natasha Cambell-McBride (Gaps Gut and Psychology Syndrome) that addresses the causes, and the solution to reducing and curing Autism, A.D.D, A.D.H.D, Dr Walhs , her cure for MS, and so many others are ignored by main steam Media. They all come to the same conclusion, that our gut Microbiome is the place to look for and treat so many Autoimmune diseases. How our gut is destroyed by what we eat. Not sure exactly the book I read it in, but when Antibiotics where first introduced, in the 40's the Mayo Client did an extensive study on their effects to our guts. Coming to the conclusion that if antibiotics where given, a dose of probiotics would also need to be prescribed following the antibiotics. I believe this has long been forgotten. Lets hope Dr Romm's word gets out and more see the importance of our Guts. Hello, Thanks for linking commercial meat with ear infections + antibiotic resistance! I also love that you quoted Marc Lappe. But he wasn't a MD. He was a PhD toxicologist. I worked with him in No. CA. Very important author + researcher. He is sorely missed.